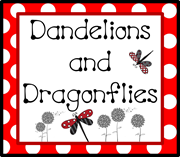 dandelions and dragonflies: An Oregon Classroom Reveal! I am beyond jealous! Your room is beautiful! I so know about the move! I made the huge move cross country myself this summer! Hope you have a great year! It looks awesome! How on earth do you reach the shelves that are on top in your cupboards? They go so high up! I just love your room...it's really beautiful. So classy and organized. Those desks are awesome! I've never seen such streamlined, modern-looking desks. Very impressive! Can you talk or direct me to more information about your Mentor Sentences?? I can't quite read the words! I love your room, as always! Do you mind sharing/emailing your mentor sentence files - it's what we were trained with in Gwinnett, right? Invitation to Notice, to revise, imitate, etc? I'd love to get a board up like that in my room. If you don't mind sharing I would be so appreciative. Thanks! I would love information on the Mentor Sentences! How does it work, what do the kids do, what sentences do you use, etc. Your room looks wonderful! I'm trying a binder system for turning in homework, so far it's working wonderful...it's just finding the time to check it before recess since my specials and plan time are in the afternoon. Which spray paint did you use for the pie pans? I sprayed several pans and after several days of drying, my magnet names were taking the paint off when I rearranged them. I can't remember exactly which spray paint I used, but I do know that you have to have the pans that DO NOT have the non-stick coating. I always use Krylon and try to get the one that sticks to everything...not just plastic. I may also suggest sanding your pans down with sand paper if you do have the ones with coating...it may help the spray paint stick. Good Luck! You inspired me to buy book cases for each of my table groups! I love following your blog and getting ideas for my 5th grade classroom! The pizza tins and job "magnet" boards look so clean and organized! What kind of walls do you have and what do you use to keep the aluminum from keeping the aluminum pizza pans and cookie sheets from falling off your walls? Thanks! You have shared a very nice idea with us and the kids learning laptop is awesome. Love your classroom as usual. Great job. Can you please share your number of the week printable? Thank you. What font did you use for your signs and labels? I love your room and color scheme! I used my Cricut cartridge called birthday cakes. Where did you get your bookshelves and benches? I love them! The benches in the reading nook are built ins, the large shelving unit I used in my library was part of the classroom furniture. The small bookshelves in each group as well as in my reading/math/writing center were all bought at WalMart-Mainstay brand. Hope this helps! Will you share your job chart? I would love a copy? I would love to...could you email me at dandelionsanddragonflies@gmail.com or leave your email address in the comments and I'll send it your way! Thanks for reading! Thank you for Loy's of great inspiration for color theme and organization! I am using lots of ideas from your photos for my first classroom. I would love if you could share your job chart? If possible my email is kmeurrens@gmail.com. I find it hard to read your blog and I am finding lots of useful information but the font is hard to read. Is there a way to change the font on my end? I'm not sure how you can change it. I do notice that when I view my blog on my iPad some times the font is a cursive type font, and that is not the font I have chosen...but then if I simply sign in with a different gmail account the font changes. It's very strange. I'm sorry I don't have a better solution to offer. Beautiful room! Can you tell me how you made your learning target pages? Type of paper, etc. What paint colors did you use in your classroom? They are very calming! What did you use to hang your picture frames to make sure they adhered to your board? I have a fabric background on my one bulletin board and definitely want to use that idea for my HW board! Unfortunately, I used hot glue...was not pretty when I took them off...but command strips work really well too! @teacher4 I simply used scrapbook paper 12x12 and laminated them. How do you write on your Homework frames? Dry erase markers? Yep! I use dry erase markers, works great!!! Where did you get that gray chevron rug? I absolutely love your room! I want to move right in. I am inspired by the group display and and the frames. I thought the learning targets were made from vinyl placemats. I think I will look for some vinyl ones for writing my learning targets. Thanks for sharing. Often times I see these gigantic rooms and think "no way". But you took an average room and made it homey. What font do you use for your headings? or how do you make all of your signs?